Our readers will acquit us of exaggeration, when we tell them that Mr. Hone, in his Every Day Book, quotes, from an historical account of Norwich, an authentic statement of the amount of turkeys which were transmitted from that city to London, between a Saturday morning and the night of Sunday, in the December of 1793;—which statement gives the number as one thousand seven hundred, the weight as nine tons, two cwt., and two lbs., and the value as £680. It is added that, in the two following days, these were followed by half as many more. 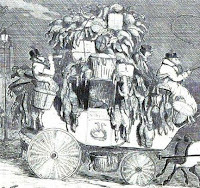 We are unable to furnish the present statistics of the matter; but, in forty years which have elapsed since that time, the demand, and, of course, the supply must have greatly increased; and it is probable that the coach proprietors find it convenient to put extra carriages on the road, for these occasions." "THE TURKEY-DROVER has also a very busy time of it just now; and the Goose-drover far more. The greater difficulty attending the flocks of geese is not because they are so much more numerous than the turkeys, as on account of the perverse, irritable, and stupid conditions of mind which alternate with the goose. 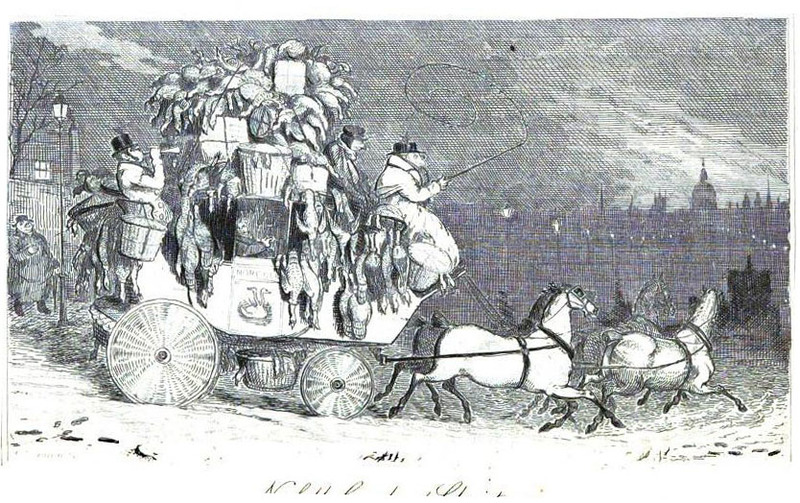 It is to be remembered that the warlike turkeycock (so aptly called in Scotland the bubbly-jock) and the mature fierce-necked, wing-threatening, universally-assaulting gander, being preserved by their toughness, are not present in these festive processions. We speak only of the young and middle-aged turkey and goose…"
E.M. Peck's poultry-house at Newtown, Ct.
What a sight it would have been to see turkey and geese drovers! thanks for sharing.